For connecting to your Shoptrader account to SendCloud make sure your Shoptrader account is fully active. Choose in this view for SendCloud. On the right it is possible to fill in your name and click 'Activate this add-on'. 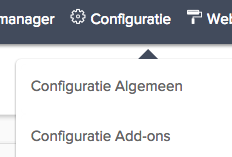 Choose 'Configuration' in the top banner and select 'configure add-ons'. In the overview you choose 'SendCloud'. You can copy/paste the SendCloud API keys. Choose 'change' to copy the right keys, return to your SendCloud account in the following step. Log in to your SendCloud account and go to 'Settings' > Connected shops. 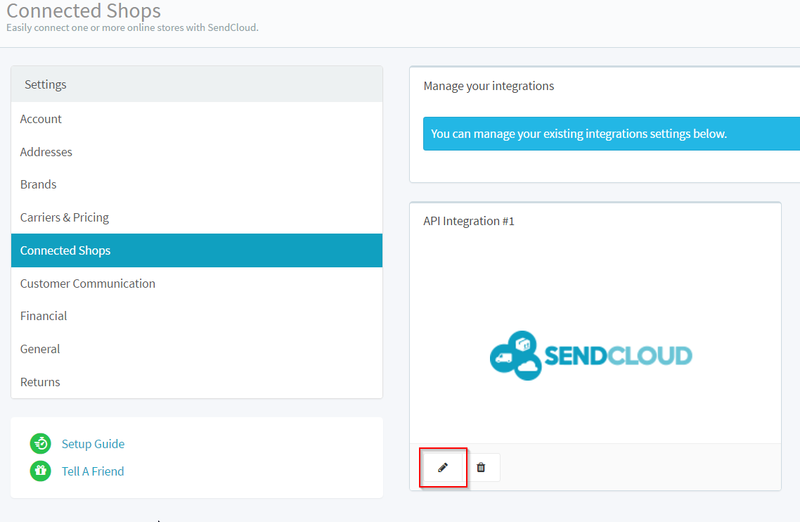 Choose the SendCloud API and the pencil icon to view your API keys. 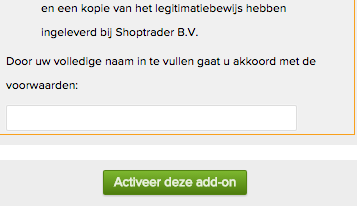 Copy and paste the API keys in Shoptrader as described in the steps above. The SendCloud app is now configured in your Shoptrader. Within shoptrader you can go to your 'order overview'. Select the orders on the left-side of the menu and choose the action you want to apply. In this case you choose: 'Export to SendCloud'. The orders are now forwarded to SendCloud, from your 'incoming orders' overview you can make the labels for these orders. Go to your SendCloud panel and use the checkbox to select the orders you want to make labels for. Choose 'create labels'. A PDF will be created with the labels. From here you can print them with the printer you selected in the PDF reader.